A dangerous earthquake in San Francisco in the next 30 years? 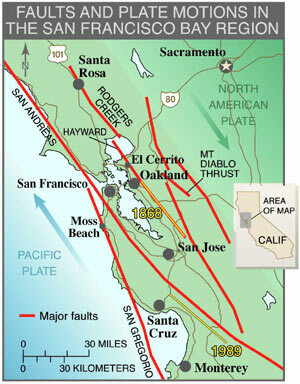 The 1906 earthquake was historically large and devastating to the areas surrounding the San Andreas fault. While measures have been taken to prevent another such disaster in the future, not enough has been done based on what is known and what can be done. The study, known as WG02, was led by the USGS and employed the expertise of geologists, seismologists, and other earth scientists. The results can be used to estimate seismic hazard in the Bay area and predict the intensity of ground shaking in potential earthquakes. Extensive planning in insurance and expenditures and in developing building codes are affected by this research as well. The probability figures were found with reference to plate movement and fault slip. Slip, such as that during aseismic creep, alters the amount of strain, which can affect the likelihood or the magnitude of a future earthquake. Development of the Global Positioning System (GPS), which uses satellites to find points on the Earth's surface, allows for measurements of strain distributed by plate motion on specific faults. (In the Bay area, plate motion is about 1.5 inches a year.) Digging trenches parallel to and across faults and other studies also were used in finding the figures; it can be used to inspect soil layers and show tremor history on faults. In calculating the probabilities of earthquakes in the next 30 years, scientists developed a new set of computer models using physics and statistics. Interactions of faults in the Bay area were considered in calculating figures because every earthquake changes strain on nearby faults. 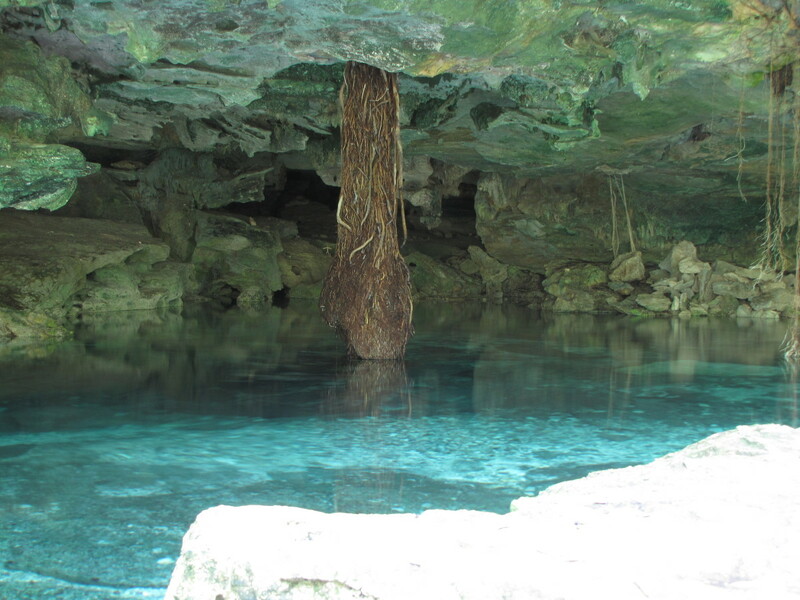 Scientists looked for faults previously undiscovered as well, for hidden faults can be the most dangerous. For instance, the 1994 Northridge earthquake in southern California was caused by a blind thrust fault. While most Bay area faults are strike-slip, there are also thrust faults that don't reach the Earth's surface, making them difficult to find. These faults cannot only just lead to earthquakes, but they can also alter strain in the area and affect other nearby faults. To determine probability figures to faults and segments, scientists assigned each a weight to include them in overall calculations. This method helps insure estimates are reliable and allows scientists to update probabilities. Based on the study, the social and economic damage would be equal or greater to the magnitude 6.9 Loma Prieta earthquake of 1989, which resulted in at least $6 billion in damage to buildings and infrastructure. This does not reflect economic loss due to that damage. A repeat of the 1906 earthquake would rupture four segments of the San Andreas Fault and would cause around $54 billion in building damage. Sixteen thousand homes would be uninhabitable after such an earthquake; the Association of Bay Area Governments estimated that if a repeat of the 1906 San Francisco earthquake occurred, more than 150,000 residences would be uninhabitable. 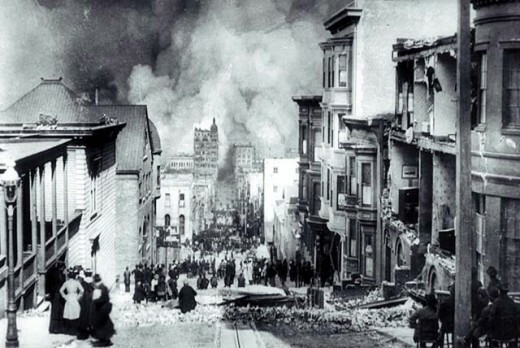 If something similar to the 1906 San Francisco earthquake of magnitude 7.9 were to occur during working hours, an estimated 5800 fatalities would result. (Deaths are highest when an earthquake strikes in the early afternoon; at that time the loss of life is 5 times higher than would be at 2:00 AM when people are most likely at home in wood frame residences.) By 2025 the SF Bay area population is expected to exceed 8.2 million people. In certain areas, the effects of a potential earthquake can vary based on the region's geography. For instance, strong shaking intensity levels on the Bay margins are due to the amplification effects of soft sediments and fill in those areas. The 1989 earthquake caused considerable damage at places underlain by soft soils, like the San Francisco Marina district and Oakland, and near earthquake rupture beneath the Santa Cruz Mountains. Such conditions can greatly affect structures in those areas. Areas prone to liquefaction include those covered by the huge amount of fill poured into San Francisco Bay since 1845 to transform 77 square miles of tidal and submerged areas into land; and areas by stream channels and flood plains, especially with deposits less than 10,000 years old. Large earthquakes occurring anywhere in the Pacific Ocean can cause tsunamis that may threaten coastal areas. Surface rupture can occur, such as the 8-foot offset at Point Reyes in 1906. Landslides can damage roads, buildings, pipelines, and other infrastructure at steeply sloping areas over loose or soft rock. Fires, infrastructure collapse, dam failure, and hazardous material spills can occur as well. The Federal Emergency Management Agency's earthquake loss estimation model, HAZUS, was used to determine loss estimates. Ground-shaking inputs for potential scenarios were developed by the same methods used by the USGS in making ShakeMaps that illustrate the degree and distribution of shaking subsequent to significant earthquakes in the San Francisco Bay area. The California Hospital Seismic Safety Law requires all hospital structures considered prone to collapse must be retrofitted or replaced by 2013. Many have achieved this and most have done little or none in response to the law. Thus, according to the Office of Statewide Health Planning and Development, about half of the 484 structures in the Bay Area are expected to collapse during or after a major quake. 973 buildings (37%) probably would collapse. Only about 175 buildings, or 15% would be somewhat able to function while only 1% would be completely functional. 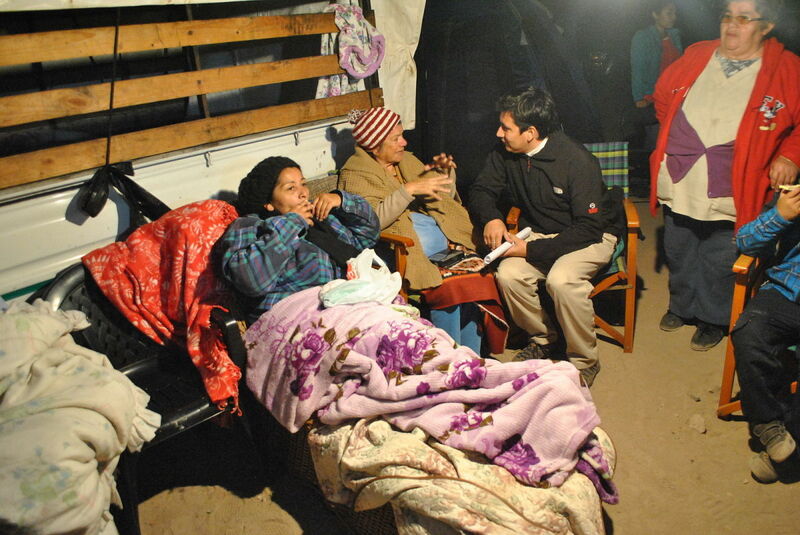 And since only so many hospitals operative after a major earthquake, many people wouldn't survive after the first 72 hours. Bay Area roadways will be affected by the large potential earthquake as well. In the event of a 7.9 earthquake, the Association of Bay Area Governments predicted 1,332 road closures around the San Andreas fault; 146 in Alameda county; 30 in Contra Costa; 77 in Marin; 3 in Napa; 429 in San Francisco; 315 in San Mateo; 250 in Santa Clara; 6 in Solano; and 75 in Sonoma. The I-280, which runs parallel to the fault in San Mateo County, may be affected by the earthquake and many highways and roads near the source will also be susceptible to landsliding. Also, routes 1, 9, 35, 84, and 92 providing critical access to rural communities in western San Mateo and Santa Clara counties and western Marin County may have one or more major closures. The 101 corridor from the San Francisco Airport north through Marin and Sonoma counties is more vulnerable. However, local roads in the eastern parts of San Mateo County and along the southern Hwy 101 will probably only undergo a few road closures. Route 80, which leads from the northeast, is expected to hold up. Other routes include the 280 through San Francisco, I-580 across San Pablo Bay, I-880 to Oakland, 128 to Sonoma County, 4 to Richmond,85 to San Jose,17 from Los Gatos,12, 37, 87, 116, 121, and 237. The San Francisco-Oakland Bay Bridge Project plans to create a "lifeline" of a connection between San Francisco, the East Bay, and the I-80 corridor to the east. The California Department of Transportation (Caltrans) intends the SFOBB to provide a high level of post-earthquake transportation service for emergency response and support for the safety and economic livelihood of the Bay Area. The structure would be used to distribute supplies from the San Francisco and Oakland ports to recovery centers. So much work has been put into predicting future earthquakes that there is little excuse for being caught short-handed in the event of a quake. 25 percent chance that one will occur within two decades, according to a new computer forecast. The San Francisco Bay region has a 25 percent chance of a magnitude 7 or greater earthquake in the next 20 years, and a roughly 1 percent chance of such an earthquake each year, according to the "Virtual California" computer simulation. Twenty years since the deadly Loma Prieta earthquake shook the Bay Area, how prepared is California  and the rest of the world's quake hot zones -- for the next Big One? next 30 years? ha! think again..think the next THREE years. Why did they say the next " Big one" will be in thirty years in 1989- and they are still saying 30 years- it's been 23 years already! Primrose, what are you confused about? What do you need info on? im confused i have to write an essay about this but it make no sense HELP! It is a very good hub. And at the same time it is very informative also. We may not be aware from dangers like this every time. But that does not mean that one will keep one's life in danger. There are ways through which we can save our lives. The new word on the Big One is that it will affect everyone from Mexico to Vancouver Island. The San Andreas Fault actually runs from Mexico to Van. Isle. It is not visible that far south and north but there is a week line that extends that far in both directions.The so called big one will be soon as there is an increase in quakes all over the world. Dis is vezy intvesing...ja. I am going to move to Alaska. It may be sazer der. That's interesting, I wonder what they are going to do on December 21, 2012. The San Andreas Fault is right there! And earthquakes tend to occur along faults. in my class we are learning about earthquakes in san fransisco. why is it likey that an earthquake may hit san fransisco? Thanks for dropping by, Eco and Jessica! Jessica, do you mean how much of an impact a 6.7 earthquake would have? But how large is a 6.7 earthquake with buildings now a days, not in 1908? nice hub. i love learning about the 1906 quake. 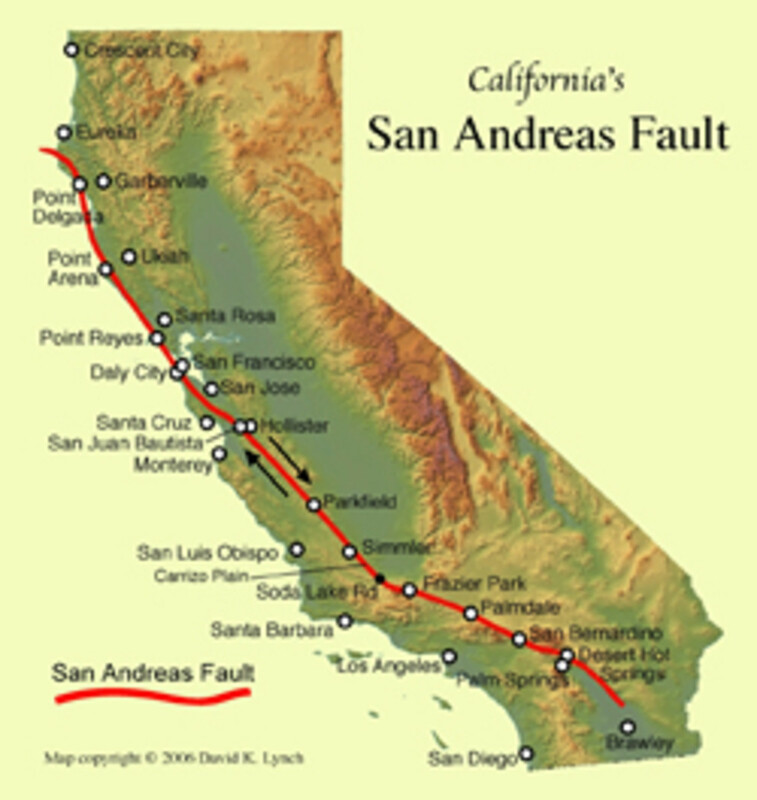 read my hub on the San Andreas fault.